Authentic power is the experience of meaning, fulfillment, creativity, vitality, gratitude, and joy, moment by moment. Growing spiritually and creating authentic power are the same. Each of your relationships offers you rich opportunities to create authentic power. Spiritual partnerships are the deepest, most substantive relationships of all. 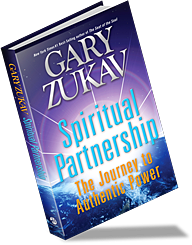 Join Gary and his spiritual partner Linda Francis in a discussion about Gary’s new book, Spiritual Partnership: The Journey to Authentic Power, and have your books signed. For more information, visit www.opensecretbookstore.com.